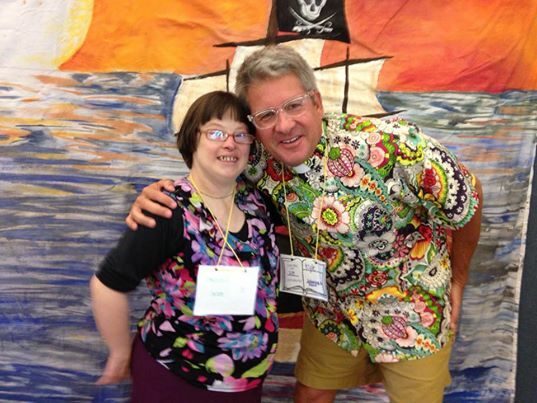 St. Alban's Episcopal Church: Camp Able - Camp Hardtner! Elizabeth, aka, Lizzie was thrilled to get to Camp Hardtner today (Tuesday, June 9). Been looking forward to it all year. She is one to say everything is her favorite, but I believe Camp Able truly is her favorite place to be! Photo and note via Catherine! Pray for our campers, and Church members serving as paid and volunteer staff at Camp Hardtner! Father Whit will be there next week as Dean of Primary Camp. This week - It is all about Camp Able! Go Lizzie!